Our fantastic summer Ladies' Nights combine the best of high-class fashion, glamour and adrenaline-packed racing in a series of evenings designed to let you live it up as the sun goes down! 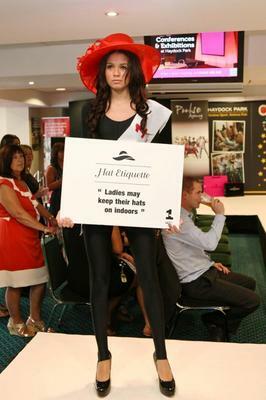 Slip into your heels and head over to Haydock Park on Friday (eve) 7th June and Friday (eve) 5th July and join in the fashionable fun with fashion shows from our style partner, Matalan or strut your stuff on our catwalk and enter our 2013 Top Model competition. With lots of prizes to be won and the evening topped off by Haydock Park's famous 'Silent Disco' it is the place to be seen this summer. Visit Haydock Park for more details or book via our ticket hotline on 0844 579 3006.